"Bled greatly... faint and exhausted"
Flogging was the most common form of convict discipline, and it could be ordered by a single magistrate. 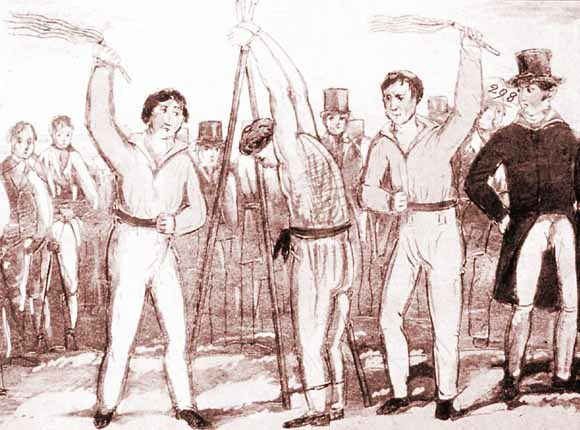 Convicts had their own expressions for a flogging, which included 'getting a red shirt' or 'meeting the three sisters' (referring to the triangle to which they were tied while being flogged). In 1833 the degree of suffering caused by flogging was recorded for a colonial inquiry. 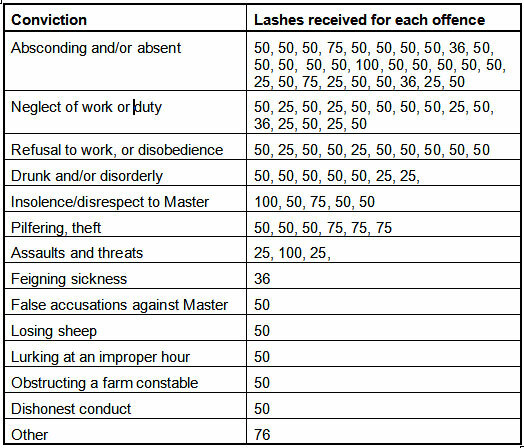 It included 50 lashes received by William Truelove for neglect of duty while assigned to Tocal. The report says Truelove 'bled greatly, and appeared faint and exhausted'. Source: frontispiece of The Fell Tyrant or the Suffering Convict, London 1836.